The Expo ’98 site in Lisbon is home of many contemporary architecture icons, such as Siza’s Portugal Pavilion or Calatrava’s Oriente Station. ::: tip This is Part 1 (of 3) of the Lisbon Contemporary Architecture Guide. The 1998 Lisbon World Expo was remarkable both because of its exhibition’s success as well as for its remaining urban legacy. 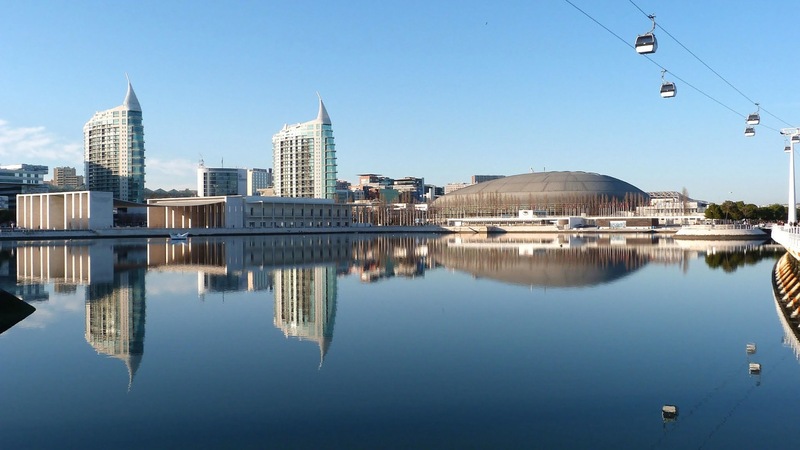 Built from the ground-up in a derelict area of the city, the Expo managed to create a thriving neighborhood, and its main buildings were kept and continue to be used today. The region was renamed Parque da Nações and developed into a new busy neighborhood. Most of these buildings are architecture classics. 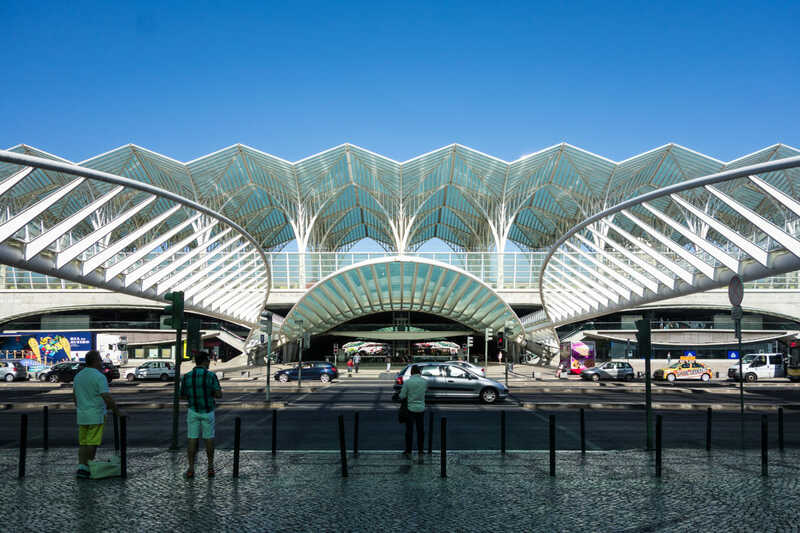 Calatrava’s Oriente Station and Siza’s Portugal Pavilion are among the most famous, but works from Carrilho da Graca or Manuel Salgado contribute to making the area must see to any architect visiting Lisbon. It is also a very pleasant place to spend the day at. You can stroll along the river Tagus all the way up to the Vasco da Gama Bridge, or ride the cable car and take the elevator up the Vasco da Gama Tower to check the view from the top. The Passeio dos Herois do Mar Park north from the Expo could also be a perfect setting for a sunset picnic overlooking the water. If taking the train from the city center, your stop will be the Oriente Station, Calatrava's transport hub built for the Expo and serving as its arrival point. You’ll arrive at the upper level, covered by a translucent roof composed of a reticulated roof structure which gave the station its fame. It is beautiful, light and bright, a real welcoming gesture to the arriving passengers. The lower levels, however, impressed me the most. Composed of five identical concrete bridge structure, spanning a total of 80m wide and 260m long, these vaulted spaces are at the same time extremely contrasting to the lightness above and so fitting to the whole language of the building. The shapes formed by the symmetries in the structure curiously lead you through the spaces in a fluid and natural manner. Low ceiling corridors give way to great halls semi-enclosed under the station's structure. It is one of the busiest transportation hubs in Europe, providing intermodal access to subway, buses and trains, both short and long distances. It seems to do so, however, with minimum interference of its architecture. The jewel of the Expo site is this small building from Siza. I still remember seeing it for the first time in my student years: the thin and light roof hanging delicately from two massive porticoes, the surprise of learning it was not a cloth, but heavy concrete, done with such mastery and structural honesty. Now years later there I was, under that same roof. Pictures cannot describe how it feels like. It is a simple roof, yes, but you feel that at any moment the wind will blow and the whole thing will just fly away. Except it is motionless, solid as if frozen in time. 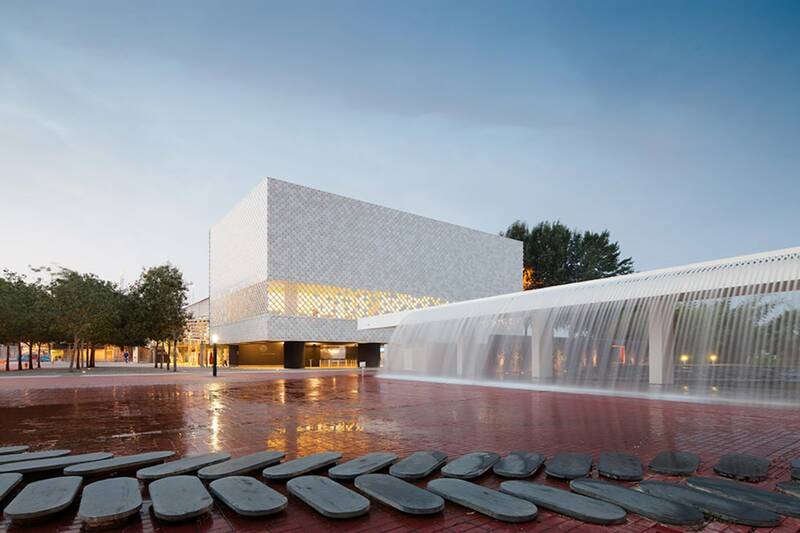 Spaning 70 by 50 meters, its construction details are also beautiful, such as the bare steel cables connecting the roof to the side walls, or the asymmetric rhythm of each portico’s tile-covered columns. Done in collaboration with master engineer Cecil Balmond and fellow countryman Eduardo Souto de Moura, the Pavilion is considered one of Siza's masterpiece. The Oceanarium is a large building standing in the middle of an artificial lagoon and it seems to be currently the most active of the whole Expo site. It is the largest indoor aquarium in Europe. Designed by Peter Chermayeff with Cambridge Seven Associates, it is segmented in four large pieces connected to and entrance pavilion via a large metal bridge. The entrance pavilion recently received an extension done by Campo Costa Arquitetos, and that was the reason for my visit. 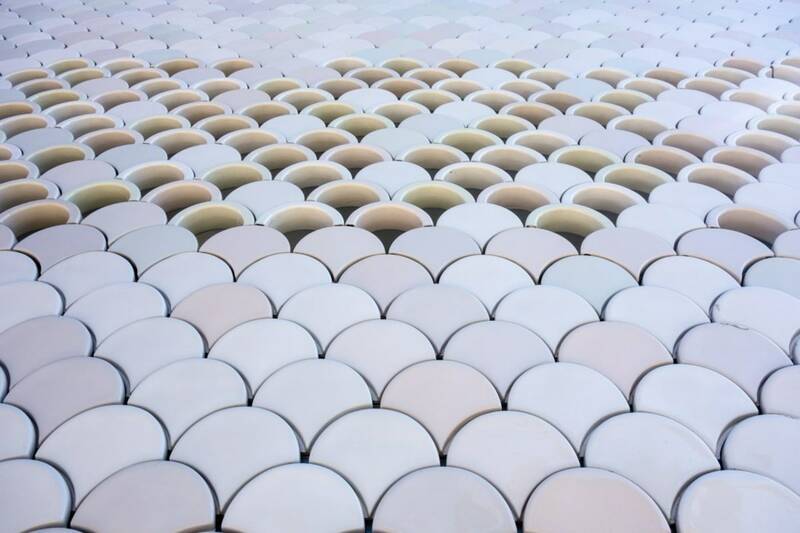 I wanted to see up close its facade: white ceramic tiles shaped like scales, or shells, giving it a light appearance from afar while adding a richness of details from up close. It is a beautiful, simple building, enriching its older neighbor and offering it a well placed new entrance. 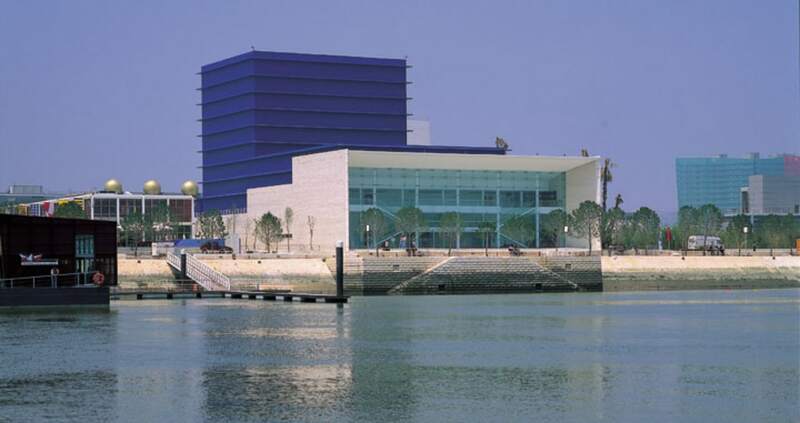 Standing right next to the Oceanario, the Camoes Theater is a simple but imponent building. The main theater volumes are easily identifiable both by their sizes as well as by they blue metal cladding. 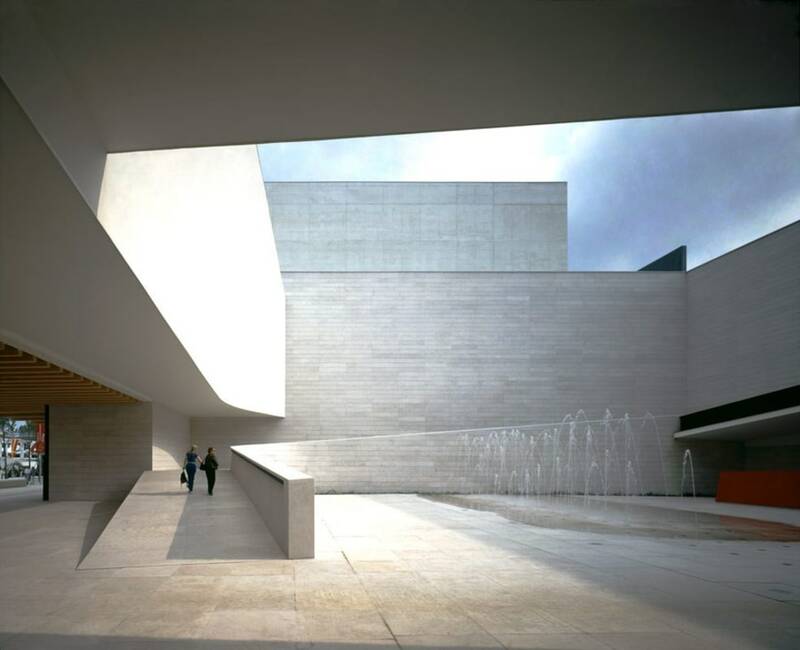 The public areas are made of white concrete with a large glass window opening towards the river Tagus. 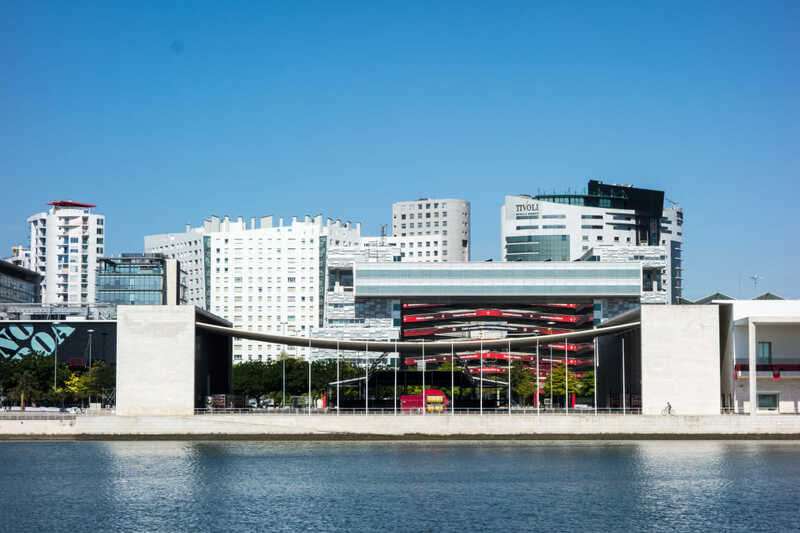 Designed by one of the great Portuguese architects Manuel Salgado with his Gabinete de Arquitectura Risco, it now houses the Companhia Nacional de Bailado (National Ballet Company). Used as the Pavilion of Ocean Knowledge during the Expo, it later opened to the public as an Interactive Science Museum. It is composed of large suspended blocks opening a passage to the inner courtyard, from which a ramp leads you up to the main entrance. Back in 2010, it underwent renovation works, and new signage and treatment of the museum's multi-purpose foyer were completed by P-06 Atelier, in collaboration with the original architect Joao Luis Carrilho da Graca, gaining renewed attention of the architecture media. 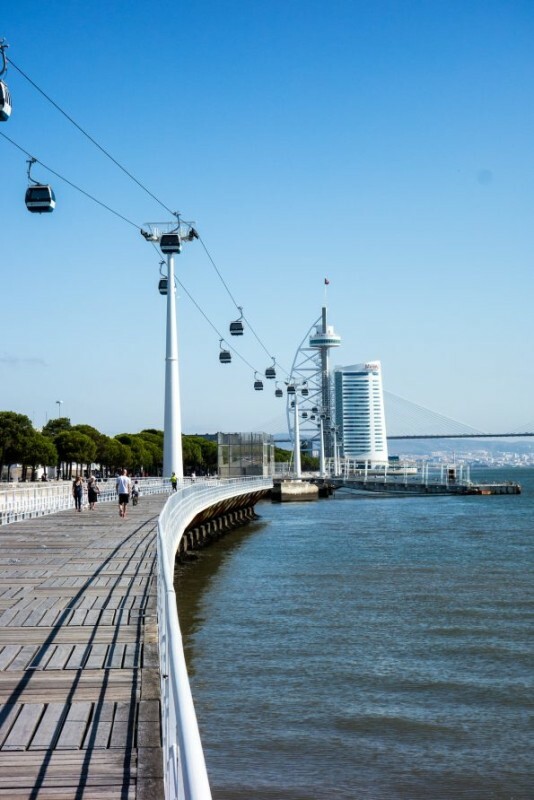 From the Knowledge Pavilion, you should take a walk up north through the pleasant boardwalk along the river Tagus. You'll catch beautiful views from the Oceanario and the Portugal Pavilion along the way. Right in the middle of the Expo site, right next to Siza's pavilion, you'll see this hard to miss behemoth of a building: the Utopian Pavilion from SOM. The facility served as the main special-events venue during the Expo, and now accommodates a host of activities, including indoor athletic competitions, concerts, and conventions. In addition to a six-lane Olympic running track, the arena contains two halls seating 12,500 and 2,000 spectators, respectively. Not exactly an exciting building from the outside, most impressive is its structure composed of laminated wood trusses that span up to 115 meters. Worth a peek if you can. Marking the end of the Expo waterfront, you'll find what is the tallest building in Lisbon: the Vasco da Gama Tower. Currently flanked by a 21-story hotel, the original 145m-tower stood alone at the northern tip of the Expo site, its shape representing the sail of past Portuguese sea. Up the tower, you'll find a luxury restaurant and an observatory level, open to the public. 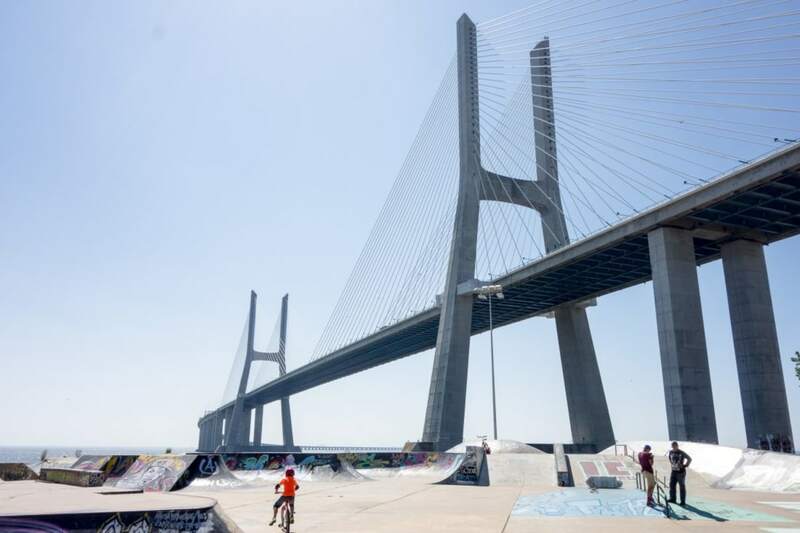 If you still have the energy, continue up north along the river, past the Vasco da Gama tower. The river path will continue, transform into a boardwalk over the water and then lead you back inland, leading you towards Vasco da Gama Bridge. The bridge itself it not exactly exciting, but its sheer scale is. Standing under it, you can better realize how massive such structures are, and the fact that the city made the space surrounding it into such a vibrant park is quite a wonderful. Lots of people playing sports, skating, doing some yoga or just resting under the sun. It is a perfect place for a picnic or a beer enjoying the sunset. To reach the Expo site just take any train to the Oriente Station (Gare do Oriente). You'll arrive at Calatrava's building and it is a great way to start your architecture tour. To reach the other pavilions from the Station, you have to cross through a large mall right out of the Station. Check the roof, it is quite interesting, although a bit over the top. The Expo site is a public park and open year-round, 24/7. The buildings in it, naturally, have specific opening times. Check them on the official website of the park .